We offer website and graphic design, website development, custom online application creation, identity and brand development, search engine optimization, marketing and consultation. We've worked for Fortune 100 companies as well as small businesses – from Lockheed Martin/NASA Ames Research Center to small local businesses. Our ability to scale design and development to your specific needs sets us apart from most other companies. Give us a call to discuss your needs and help your business grow. 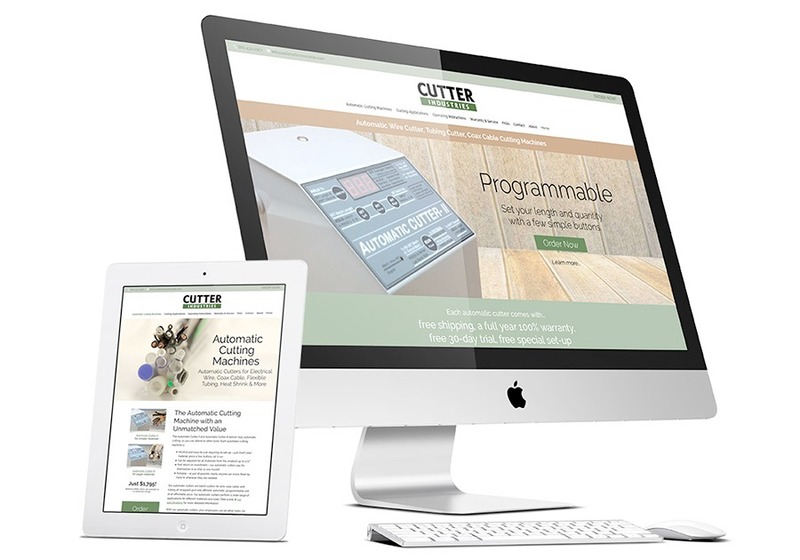 This is a recent website redesign for a cutter manufacturer. Our redesign improved their brand, made their website responsive, retained/improved search engine rankings and increased their business. Whether you need a company website or an online application that helps run your business, we can help. Call us to talk about your needs!